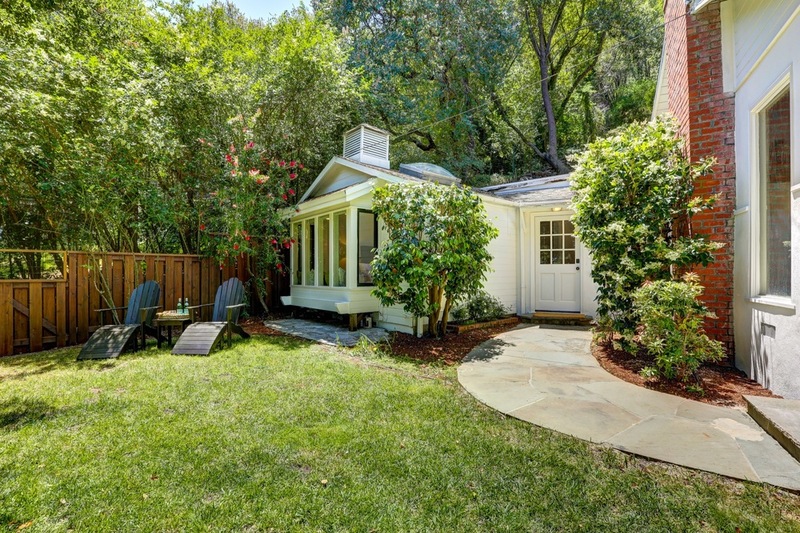 In an incredible, convenient location near the flats of the coveted Chapman Park neighborhood of Corte Madera, 489 Montecito Avenue is just a few blocks from the Corte Madera Town Park, Neil Cummins Elementary School, and the vibrant shops, restaurants and activities that downtown Corte Madera and Larkspur have to offer. 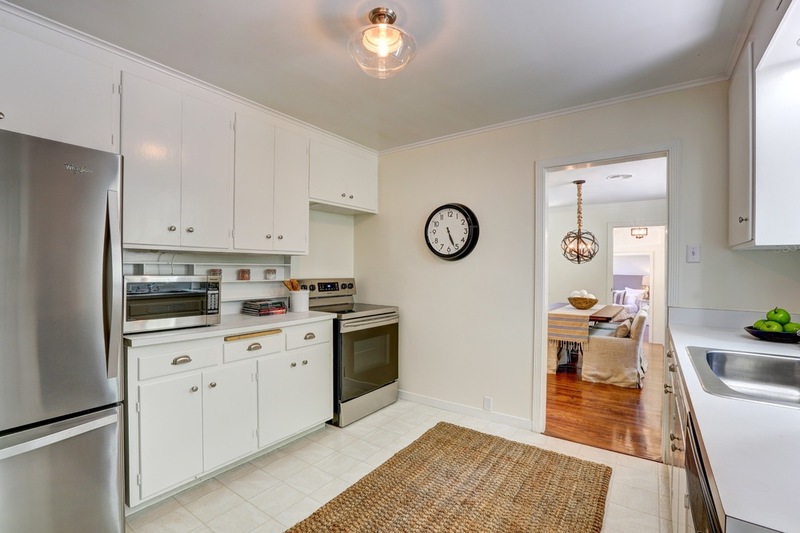 The very sunny 3 bed, 2 bath, 1,459 sq ft (per tax records) home sits on a huge, 17,341 sq ft street to street lot that gives it a ton of privacy and huge expansion possibilities (check with Town of Corte Madera). From the back door one can walk up approximately 100 yards to a fire trail that accesses the beautiful Camino Alto Open Space Preserve. 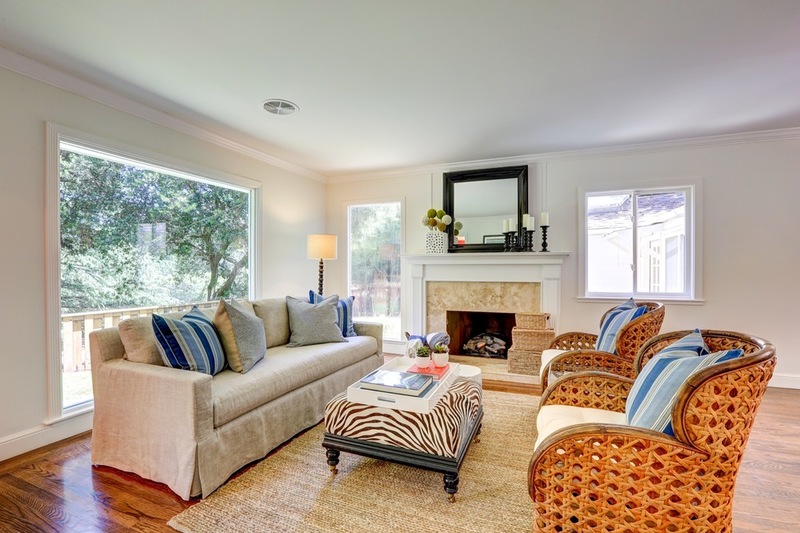 Walk or ride down Montecito and one is in close proximity to the towns award-winning schools, The Village at Corte Madera Shopping Center, Corte Madera Town Center, and Highway 101. 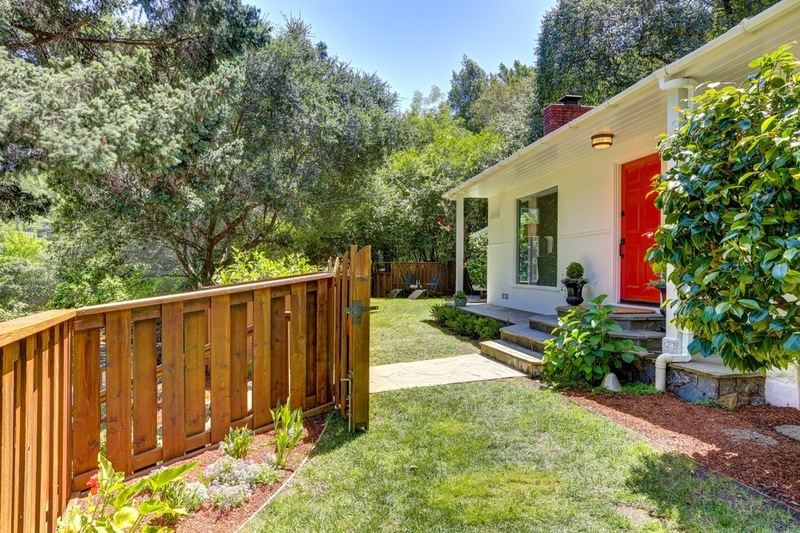 Walk through the front gate of 489 Montecito and one is immediately captivated by the enduring charm of this super sunny, single level California cottage. The front yard is light filled with a level lawn and new landscaping. Enter through the glossy red front door to find a fresh and clean, well laid out home. The entry foyer has a useful coat closet. 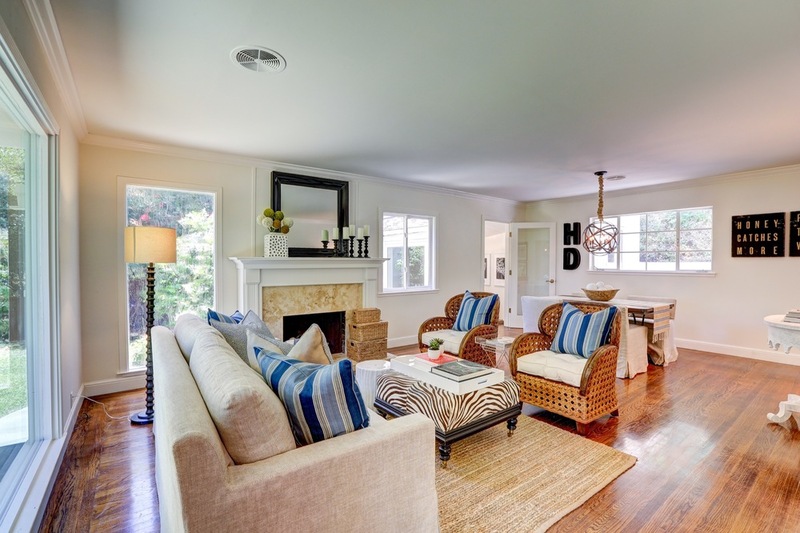 Beyond that is a warm, welcoming living room with a working wood fireplace and a dining area. 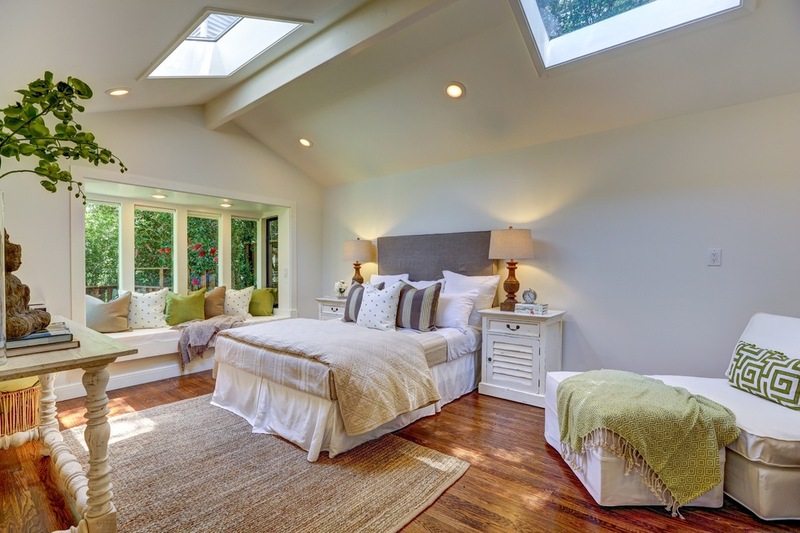 The right wing of the home features two sizable bedrooms ideal for guests, children or a nursery, the larger of the two opens to the sunny backyard with a picturesque patio sitting area shaded by a local Buckeye tree. The back door off the kitchen also opens to the backyard patio ideal for barbecuing, enjoying morning coffee and looking out upon the the grassy hillside behind the home. The left wing of the home features a foyer which opens to the front yard and provides privacy to the charming separate master suite with a vaulted ceiling and skylights. 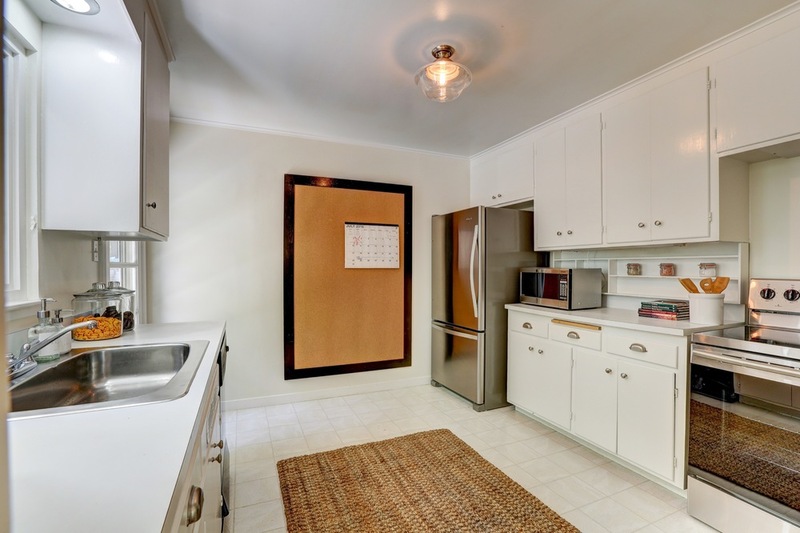 The sizeable laundry room is accessible from the master bathroom as well as the kitchen patio. 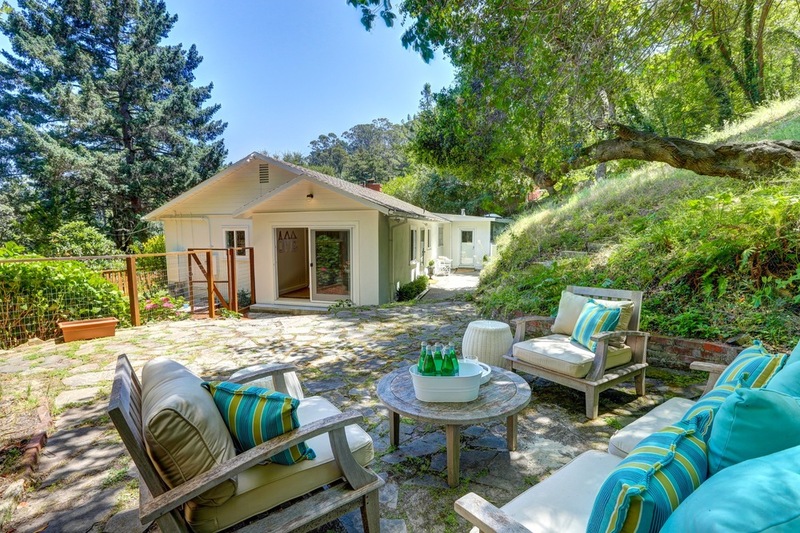 The outdoor space at 489 Montecito is surprisingly sunny and warm. The level lawn in front is perfect for kids to throw a ball around. The side yard is a great spot for a vegetable or herb garden getting plenty of light to grow anything you want. 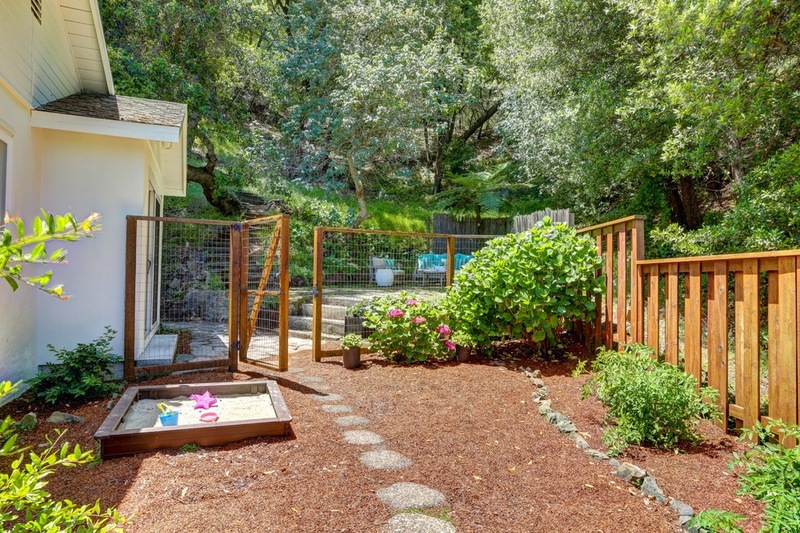 The rear yard patio is green and lush with a beautiful grassy hillside spilling down to it and a gorgeous Buckeye tree to shade you on the hottest of days. Leading up the rear hillside are stairs that can take you to a fire road leading to the views and respite of the Camino Alto Open Space Preserve. In front of the property is a super useful 3-car carport which could likely be made into a garage and a cul-de-sac in which kids could play with their friends. 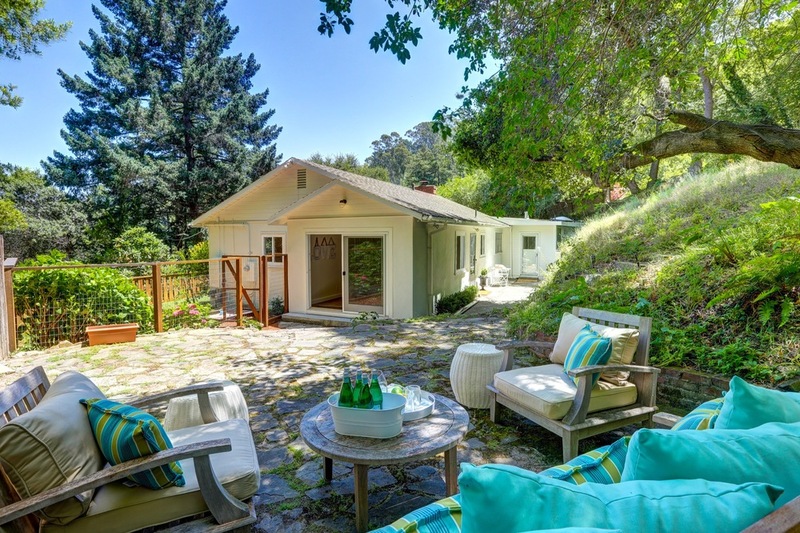 Please call Whitney Potter 415-640-8671 or Barr Haney 415-847-7347 to show.